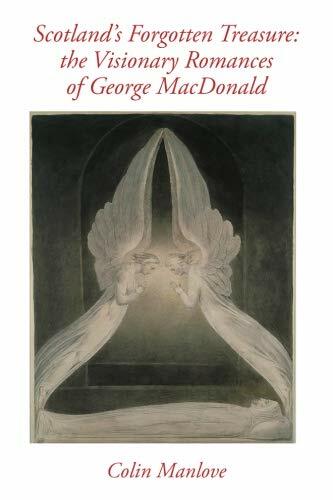 "Phantastes and Lilith mark the beginning and end not only of MacDonald's literary life but of the Christian life as he sees it. Phantastes is concerned with what may be called the first things, and Lilith with the last. Phantastes deals with created nature itself, with waking things up, and eventually with a Christlike life and death. Lilith describes nature run down, the need for everything to die out of this world into the next, the gradual end-time of all things. In the middle of the way comes the short fairy tale 'The Golden Key', which in a sense is the pivot that moves us from the Christian life in this world described in Phantastes to that in the next world in Lilith. Each story takes up where the other left off..."
I am delighted to announce that through an agreement with Aberdeen University Press and author Colin Manlove, we have just published an affordable U.S. edition of Manlove's wonderful book, Scotland's Forgotten Treasure: The Visionary Romances of George MacDonald! Available from The Works Bookstore for $16.95!